Headed back to the Neuse River at Goldsboro again to see if we could catch some more nice cats. Got there about 8PM and started about putting in lines. Had a few small bumps and then this one hit right after dark. From 9PM till 11PM nothing was stirring, no hits, bumps nothing. Just one of them nights. River was down about 2 feet or more from last weekend so that could have put more fish in deeper holes. Still we ended up with my son catching a nice 26 inch cat about 6 -7 pounds. Nice one for a "Catfish Stew"
For those that chase catfish here is one thing I look for, piles of small clams shells on the bank. That is usually a pile of shells that racoons put there after they eat a belly full. 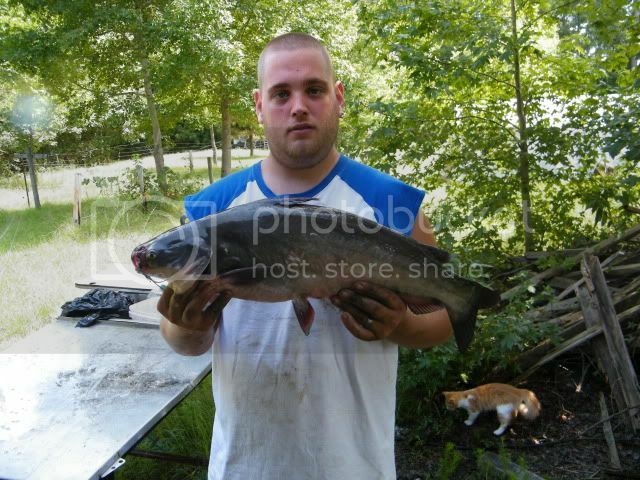 That also means that catfish will have there belly full of small clams also. I've caught cats with there belly and intestine full of shells they have eaten. So when cats are on the prowl, set up by some clam shells and get ready. 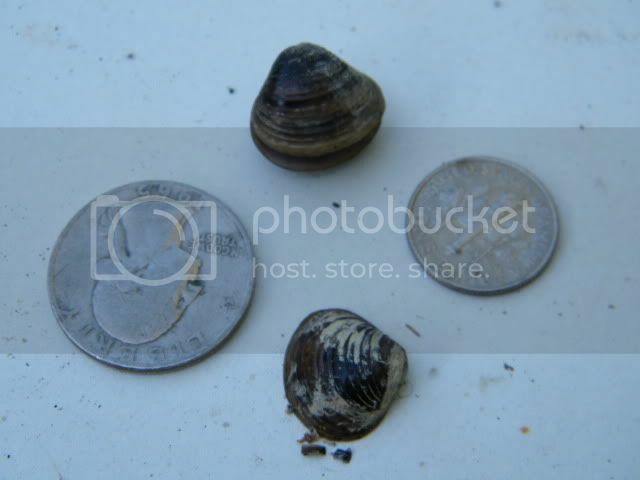 I've seen em from this size up to a quarter size..
especially in the Cape Fear River near Fayetteville. All times are GMT -6. The time now is 12:59.